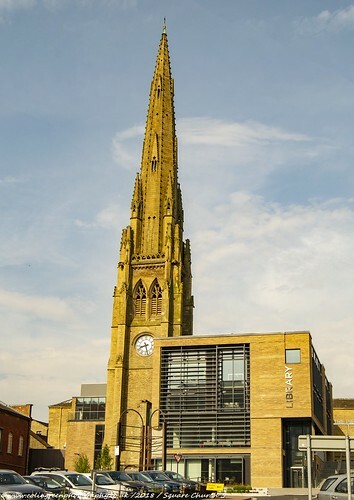 Square Church Spire is all that remains of Square Congregational Church, Halifax. 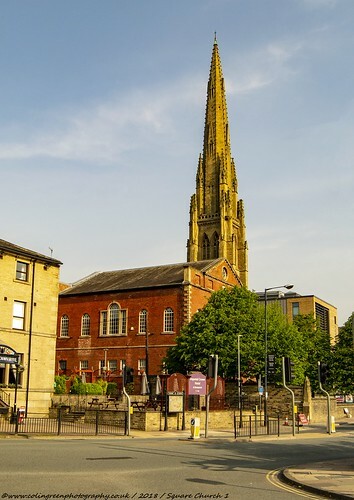 Built alongside the Piece Hall in an area of Halifax known as the Square, the church opened on the 15th July 1857, it replaced the nearby Georgian Square Chapel which then became the Sunday school for the church. 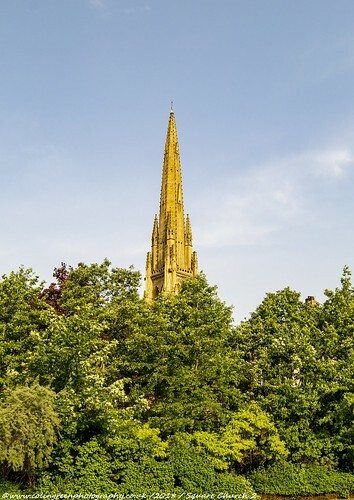 The church was used for worship until closure in 1970, and the main building was destroyed by fire in January 1971 and demolished in 1976 leaving only the Grade II listed 235ft high spire. 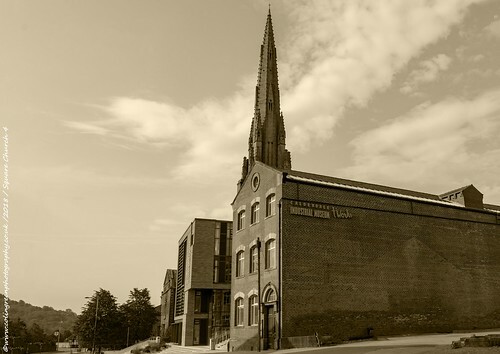 The spire now forms part of the Halifax Central Library. 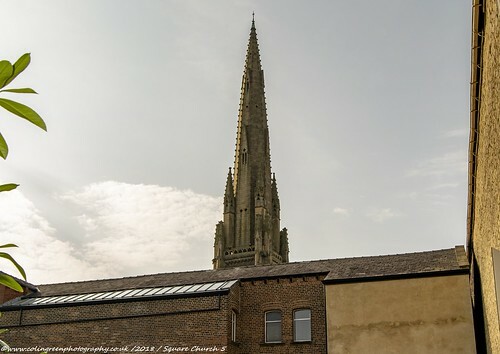 I have 5 pictures of the spire that can be viewed on Flickr, Here and Clickasnap. A different toned version of this picture can be seen on Clickasnap by clicking here. You can follow me on Facebook, Flickr, Pinterest, Tumblr and Twitter via the links in the sidebar, or on YouTube here, or Clickasnap. I have over 700 pictures that can be viewed there. Click here to win free Bitcoin.